Apple (AAPL) claimed good intentions: It said that a recent software update helped prevent iPhones from suddenly shutting down. The company insists that it has "never -- and would never -- do anything to intentionally shorten the life of any Apple product." The group told CNN earlier this month that it filed a civil suit in a South Korean court on Thursday and was preparing a criminal lawsuit alleging destruction of property. More than 120 people have joined the suit, which seeks 2.2 million won ($2,050) in damages per plaintiff, according to Go Gye-hyun, the leader of Citizens United. He admitted the amount they're seeking is ambitious. Last week, the group also filed a complaint with prosecutors in South Korea. The Seoul Central District Prosecutors' Office told CNN that it has instructed police to launch an investigation, which is now being overseen by the prosecutors' intellectual property crime unit. 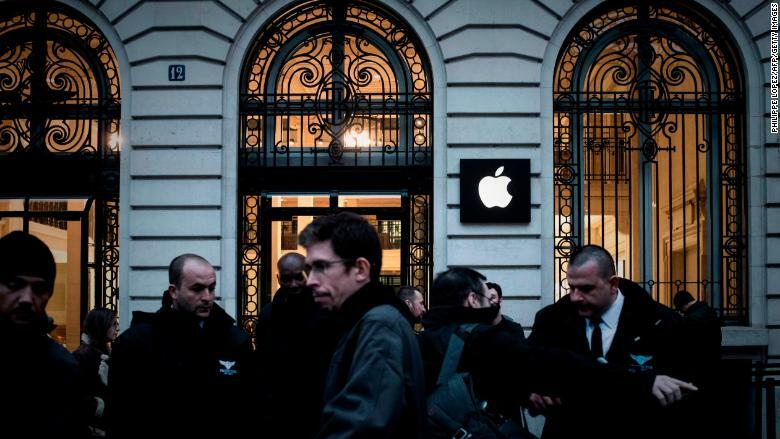 Employees stand outside an Apple store on the release day of the iPhone X in Paris on November 3, 2017. "At more than €1,200 ($1,400) per phone, these practices are unacceptable and cannot go unpunished. It is our mission to defend consumers and the environment," said Laetitia Vasseur, co-founder of the consumer group. 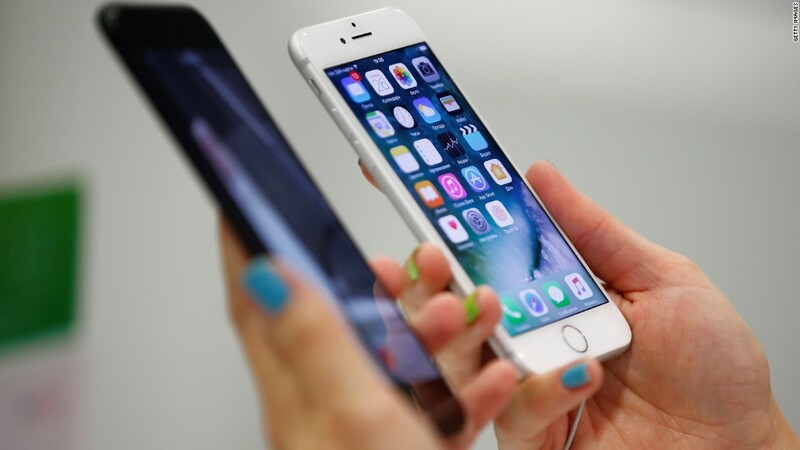 Last week, the Shanghai Consumer Council sent Apple a public inquiry asking "what remedies" the tech giant would offer after "slowing down the phone without informing the customers." It demanded to know how Apple would "ensure honest and comprehensive disclosure of information that matters to the customers," saying that "consumers have the right to know what they are buying." In response, Apple has promised to "improve communication" on what it tells customers before they buy and update their iPhones. The company has also pledged to keep in touch with the council over upcoming software updates and other consumer rights issues. The council, in a public statement on its website, said that it was "satisfied with Apple's response" -- but would continue to monitor the situation. -- Sophie Jeong, Taehoon Lee and Serenitie Wang contributed to this report.